RFU Finance Director Nick Eastwood said: “Although down on a strong 2008-09, the past year was in line with expectations. Total revenue was £112m, down £7.2m from £119.2m in 2008-9 but this was mainly due to having three instead of four Investec Internationals and two instead of three RBS 6 Nations home games, which meant a £7.9m decrease in ticket income, from £29.2m to £21.3m. 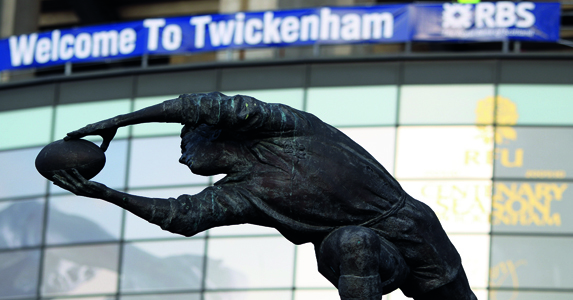 “Despite the Twickenham match schedule and the economic environment, we delivered a strong financial performance, thanks largely to the RFU’s cost reduction programme agreed early in 2009 to respond to the challenges posed by the global recession. RFU Chief Executive John Steele said: “The strong financial performance of the past year in a period of economic downturn has seen the strength of the RFU’s balance sheet continue to grow and net worth increase. We have had a strong year of trading from all of our businesses and for the full year show revenues of £112m, the highest ever with the equivalent match programme. “At the same time it is crucial to note that the RFU’s core purpose is not to make profits but to invest in growing and developing the game at all levels so over that cycle we are not looking to maximise shareholder return but ensure we are building the rugby infrastructure for the future. “This has seen £22.8m invested in clubs facilities over the year across all levels of the game, with the RFU helping to improve pitches, clubhouses and changing rooms, floodlighting, disability access, ground maintenance equipment, heating systems, kitchens and the like. “Our investment in the professional game has been some £25m in total. We invested £11.5m in the Elite Rugby Department, which covers all England teams and their management, Elite Coaching, Refereeing and Sports Science and Medicine. “There was also funding of £10m for the Premiership Rugby clubs, which includes fees and bonuses paid to England senior and Saxons players, and £2.3m invested in the RFU Championship, with £800,000 going to clubs in the Anglo-Welsh LV= Cup.